These days wherever Magnus Carlsen appears, prestige and recognition are sure to follow. Whether it's a chess tournament or a cultural event his very presence grabs attention and provides it with an air of "quality", not to mention worldwide media coverage. 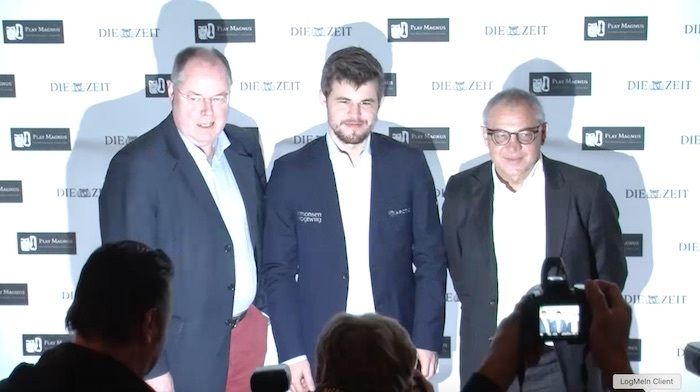 This is exactly what the German newspaper DIE ZEIT was after, celebrating their 70th anniversary in Hamburg this month, in part by organising a simultaneous exhibition where readers and invited guests could challenge the World Champion. 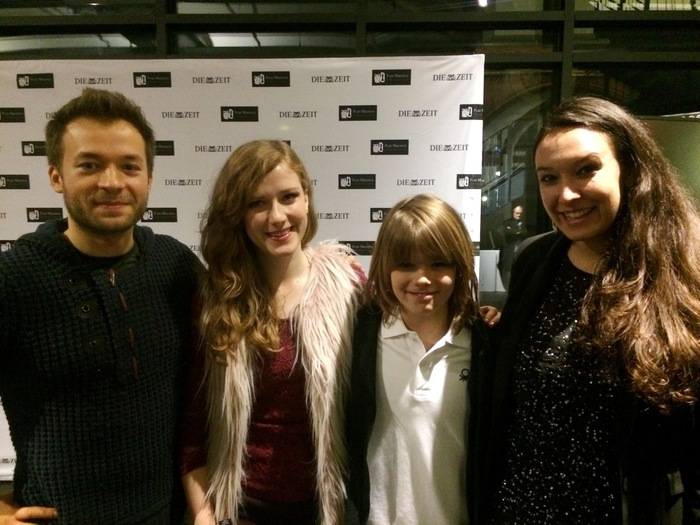 What makes this simul stand out among others is not the result, nor the level of the players, but the impressive number of chess aficionados the event attracted. Years ago chess simuls were almost exclusively organised for club players in small settings. Nowadays attending a chess simul is becoming a normal cultural activity, rather like going to the theatre or visiting a museum. Interest was massive, and vastly more would-be players threw their names into the raffle for one of the coveted spots than the venue could possibly accommodate. The simul was held on 70 boards, and the average rating of the challengers was in the range of 1800-2000, which meant there were no "gimmies" — Carlsen had to pace back and forth along the length of the room for more than six hours, outplaying his opponents move by move. But he couldn't beat everyone! Two of his opponents achieved a draw and one player, 1981-rated Jens-Erik Rudolph, even managed to beat the World Champion, leading to a final score of 68 to 2. My legs are hurting. I have a great respect now for people who do these hundred board simuls or even more. It's tiring, for sure. Fiona: How happy were you with the final score? Magnus: From the positions I had, it was more than I could expect, but I was a little bit, you know — always when I lose a game it's a little bit bothersome because there wasn't so much going on and then I was sort of outplaying him and then I missed a trick which annoyed me, but then afterwards of course he played well too. Fiona: Was that the game that stood out most? Magnus: No, the game that was at the end, that guy just outplayed me completely and he should have won and then I was nice enough to torture him a bit at the end, but you know, you've got to know your endgames. I expected to lose and draw many more games, and from the positions I had, I could have. The guests of honour were Peer Steinbrück (a well-known German politician) and Felix Magath (the former football player and football coach), who both also had the chance to face Magnus, without much success. 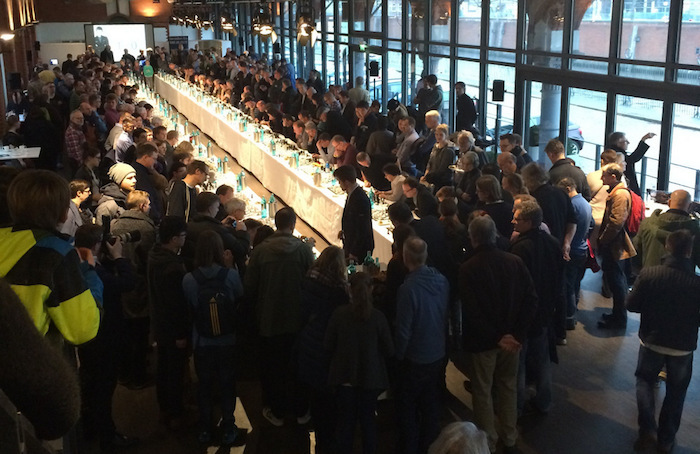 The VIPs were seated along with all other players in two long rows stretching the full length of the Ehemaliges Hauptzollamt (the former Hamburg customs office), which was packed with spectators for nearly the full duration of the simul. Scoresheet, board and cookies. What more do you need? Players were thoughtfully equipped with ample stocks of water and chess cookies, and on one end of the room, the simul score was projected on a large display. 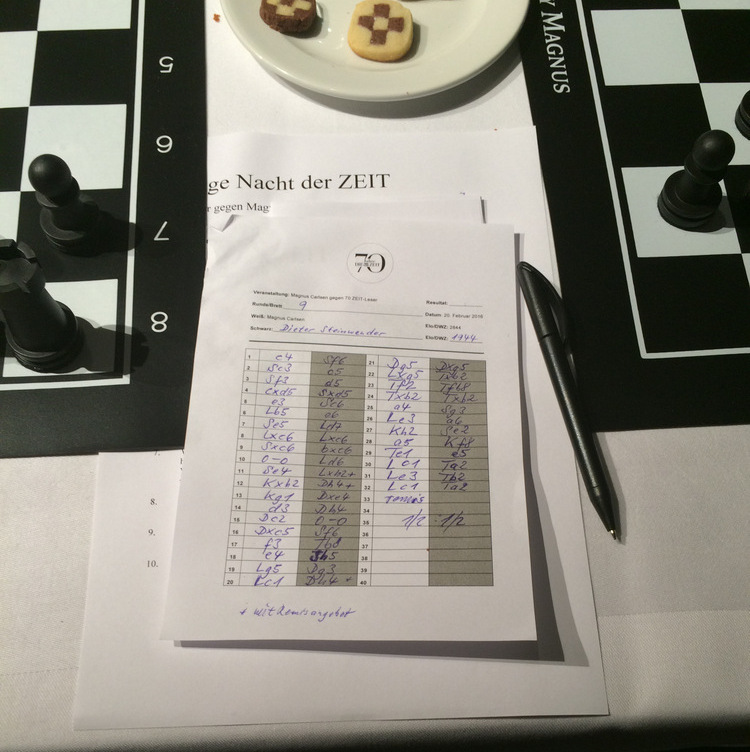 For most of the event, the DIE ZEIT side of the score remained a big fat zero. 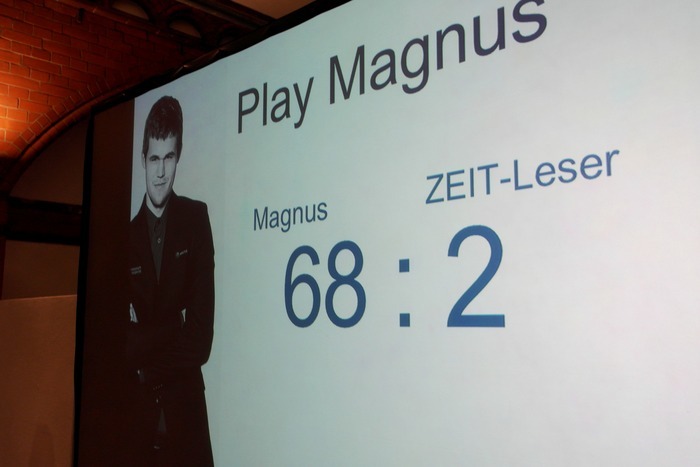 After every resignation, the room erupted in spontaneous applause for both Magnus and the fallen participant, whose consolation was an autograph inked on the face of the official chess board of Play Magnus, on which each game was played with his custom designed pieces. When I won the Norwegian Championship for kids under ten in 2000. That feeling I will never forget. Premium members can of course can also play any position from these games against one of our chess engines, including Magnus at 10. See how you might have fared in Hamburg! 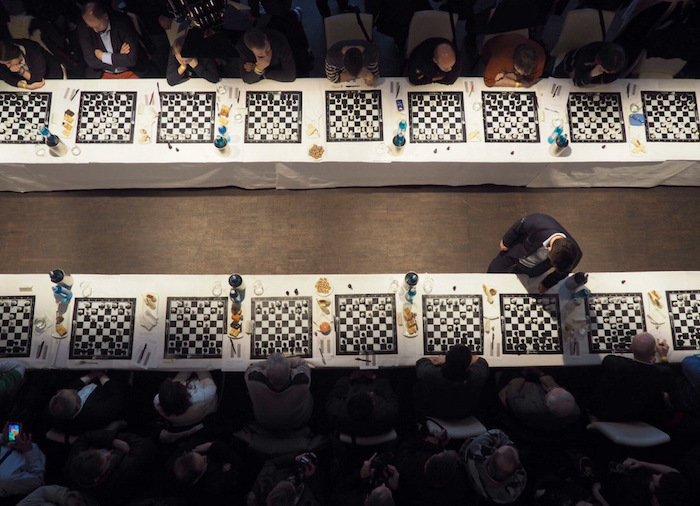 The chess24 team certainly wishes for more events of this caliber this to pop up in Hamburg, especially when they are a short walk from our downtown office. 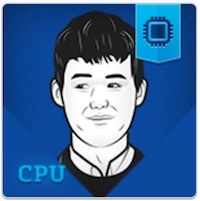 Considering that Magnus Carlsen's rating is over 2800, how do you think a simultaneous exhibition influences his level? When a Grandmaster has to pay attention to various boards at the same time instead of just one, how much does it lower his level? David Kaufmann contributed reporting to this story.